100% of your branding is your image. If you have a good solid image its going to open doors for you. Let’s face it. Every one is judgmental. It’s true. But I wish it wasn’t. A recent Princeton study states: “That within a 10th of a second someone forms an opinion or first impression about you.” The Princeton study found that: “…people made judgments about the attractiveness, likeability, trustworthiness, competence, and aggressiveness of other people after looking at their faces for 100 milliseconds.” That’s mind blowing and the exact reason why you need to make a great first impression. In today’s digital age with LinkedIn, Facebook, Twitter, Instagram, online dating sites, and online job interviews, your profile image is the first thing that is seen. I’ve photographed adults returning to the job market, looking to change jobs, or wanting to climb the corporate ladder. Adult, child, teenage models, and actors too. And headshots for adults getting back into the dating scene for sites like eHarmony and Match.com. In today’s digital age, with LinkedIn, Facebook, Twitter and Instagram, Online Dating sites, and online job interviews your profile image is the first thing that is seen. I’ve photographed adults returning to the job market, looking to change jobs and wanting to climb the corporate ladder. Adult, child and teenage models and actors too. And headshots for adults getting back into the dating scene for sites like eHarmony and Match.com. 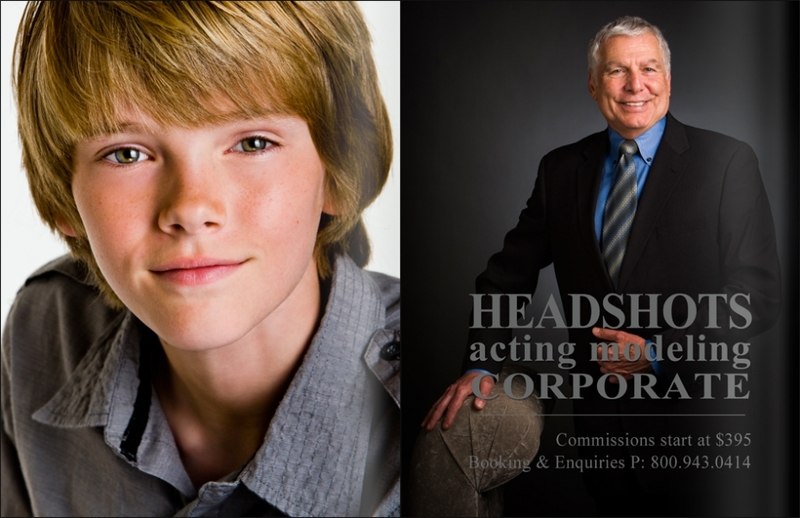 WHY IS IT IMPORTANT FOR PROFESSIONALS & ENTREPRENEURS TO HAVE A PROFESSIONAL HEADSHOT? It’s a common scenario for a local or national magazine, or a blog to get in touch and want to write an article about you or your business. You scramble to find a good enough looking photo of you and only come up with a so-so snapshot from the last party you attended. In frustration, you reach for your smart phone, snap a few images and choose one, which is just blah for the thousands of people that will see it. But imagine if you had a professional digital headshot on hand, gorgeously photographed with perfect lighting, posing, and attire, that brings out all your best qualities. You’d simply access it on your drive or iPhone and hit send with confidence and a great feeling, knowing that you’ll look your best in print and online. Marc Weisberg is an Orange County based photographer specializing in Children-Family and Commercial Photography. He’s fun to work with, has a great eye for capturing special family moments and produces commercial images that help sell your product. Contact Marc by phone 800.943.0414…. or email. Marc Weisberg is an Orange County Headshot Photographer serving, Laguna Beach, Newport Beach, Irvine, Coto De Caza, San Clemente, Ladera Ranch, Santa Ana, Corona Del Mar, Long Beach Seal Beach, San Juan Capistrano, Newport Coast, Anahiem, Los Angeles and San Diego. All content and images © marc weisberg photogrpahy inc. 2016 all rights reserved|ProPhoto Website by NetRivet, Inc.